For those who are looking at the title with a dumbstruck expression: yes, I love Tolkien and irony. So I’m reading about Santa Claus in frickin’ July. Sue me. Letters from Father Christmas is a book that contains all the letters J.R.R. 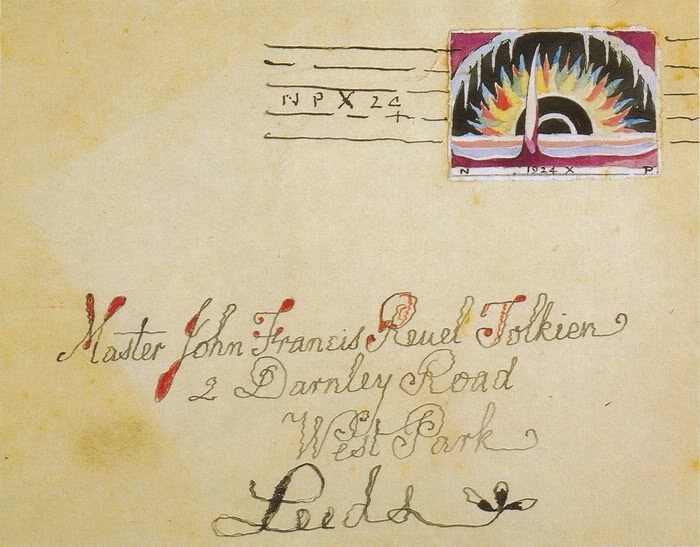 Tolkien wrote to his children between 1920 and 1943. These letters were little pieces of art, with beautiful calligraphy and drawings by the master himself. First, it’s only Father Christmas who writes, but his letters are soon ‘edited’ by the clumsy Polar Bear, the naughty Paksu and Valkotukka, and towards the end even an elf called “Ilbereth”. The true Tolkien fans among us will find that this last name rings a bell. 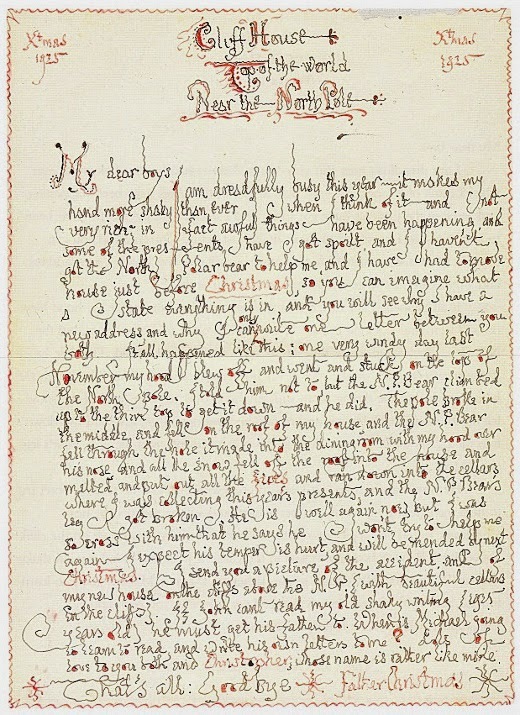 In these letters Father Christmas, in his very shaky handwriting, tells all about his adventures on the North Pole. One time it’s about all the fireworks exploding, another time it’s about the North Pole pole breaking and falling on his house. The North Pole seems quite a magical place, with snowboys, evil goblins and elves, and even pinguins, when they come to visit. I don’t know about you, but Tolkien sounds like a frickin’ awesome parent. Some of these illustrations and letters look as if he must have worked on them for hours.